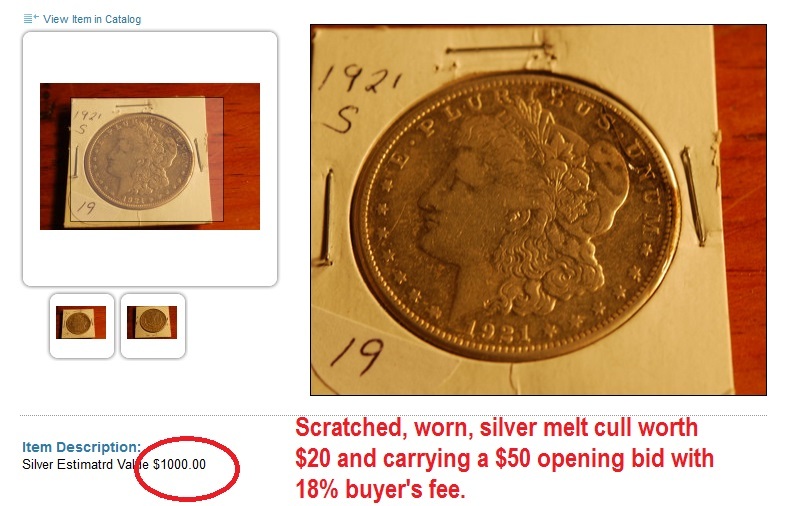 Appalled as we are with inflated values of bottom-tier slabs, Jewelry Exchange struck back with a lot description that instructs about bidding. We love it. 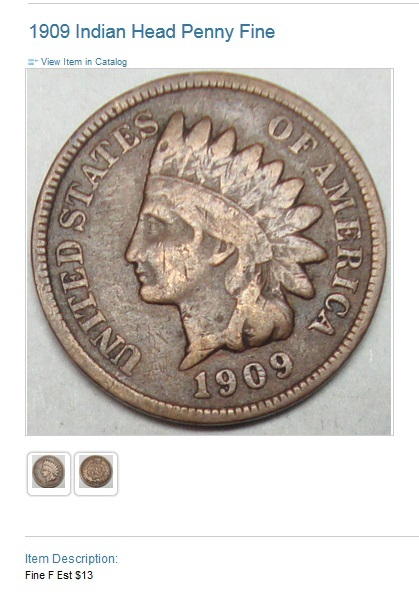 Click to expand photo or read the description below. 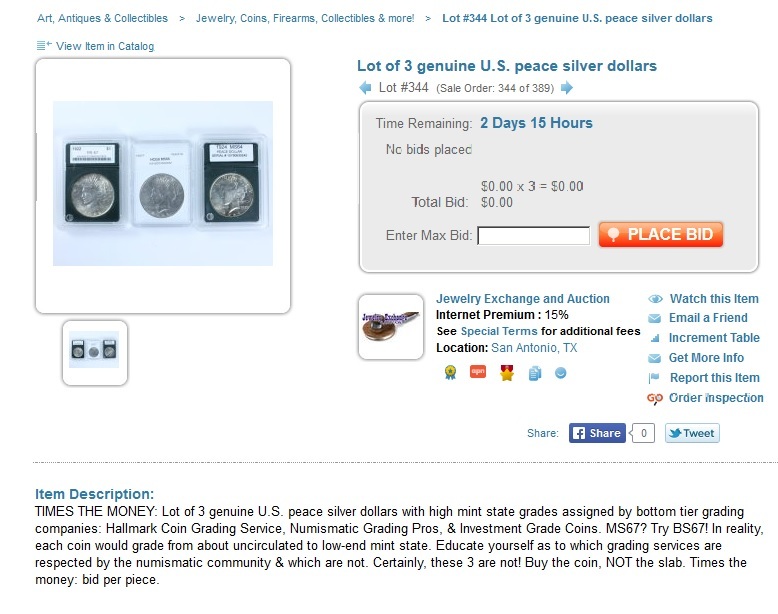 TIMES THE MONEY: Lot of 3 genuine U.S. peace silver dollars with high mint state grades assigned by bottom tier grading companies: Hallmark Coin Grading Service, Numismatic Grading Pros, & Investment Grade Coins. 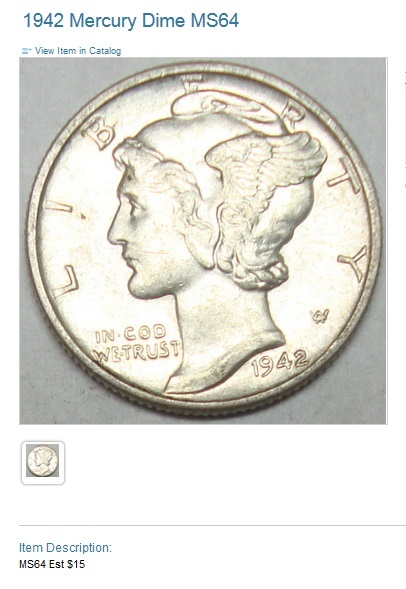 MS67? Try BS67! 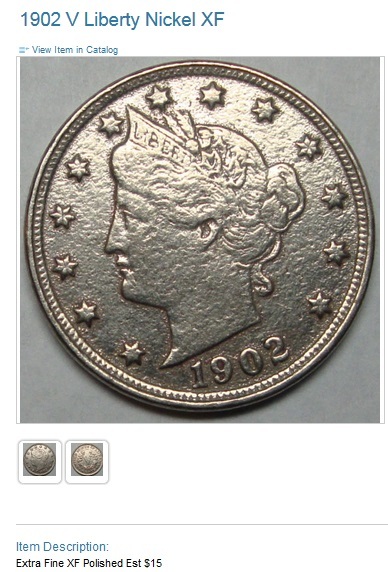 In reality, each coin would grade from about uncirculated to low-end mint state. 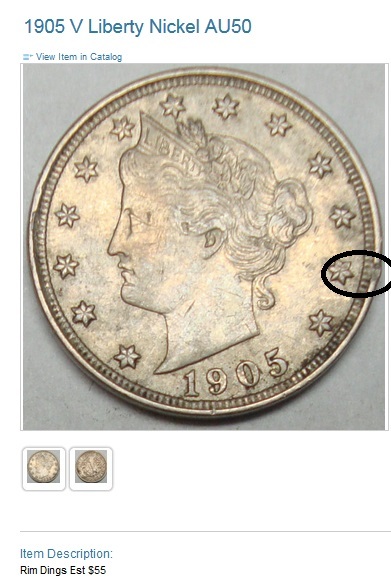 Educate yourself as to which grading services are respected by the numismatic community & which are not. Certainly, these 3 are not! 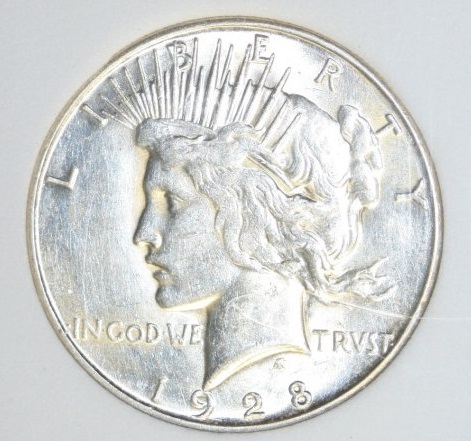 Buy the coin, NOT the slab. 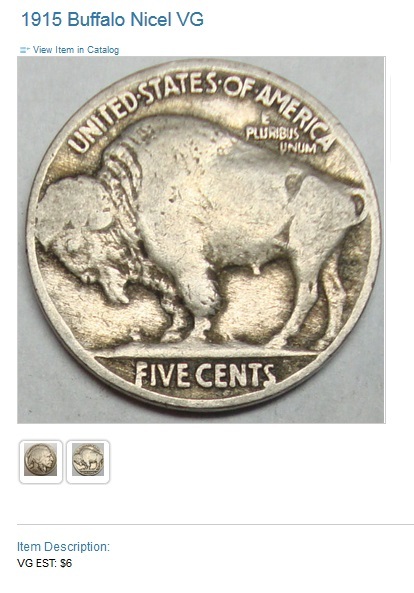 Times the money: bid per piece. 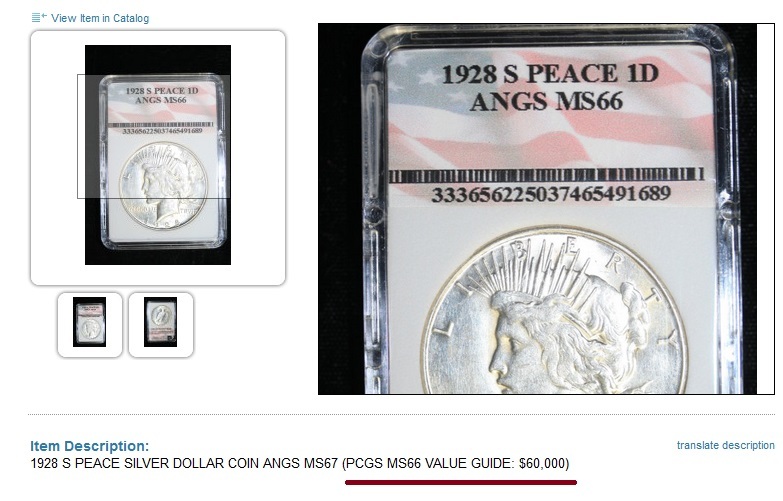 Now compare that to this hyped lot description of an auction company that not only showcases slabs like this but also uses PCGS price guide to state value. 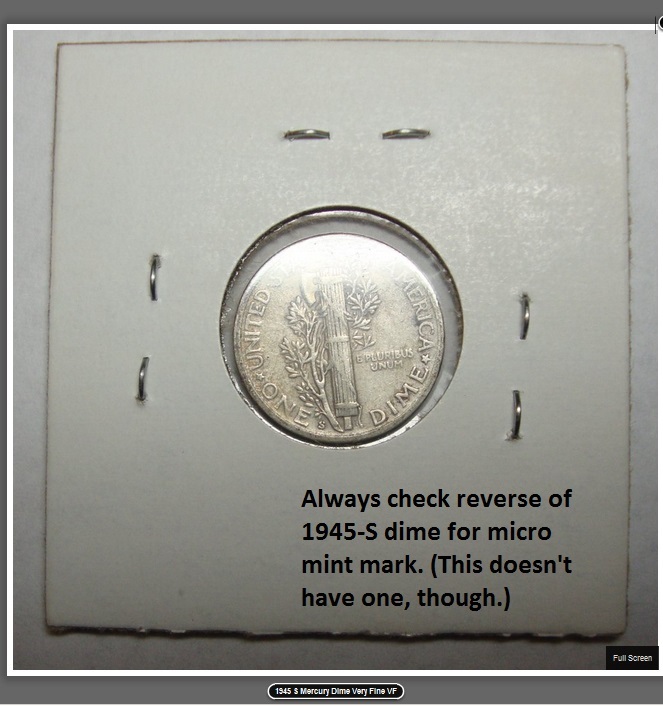 Click photo to expand or read the description below. 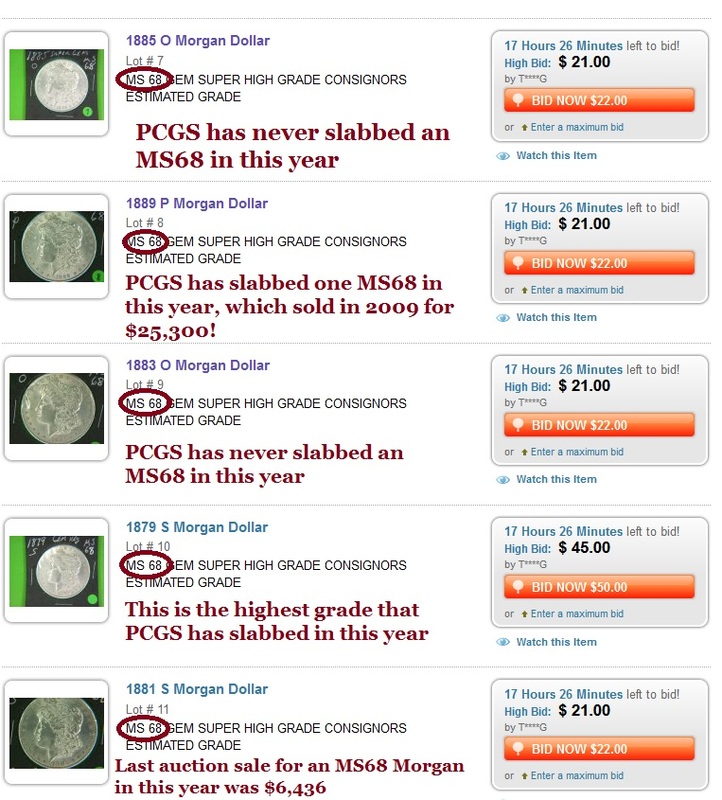 First, never compare PCGS prices to non-PCGS-slabbed coins. 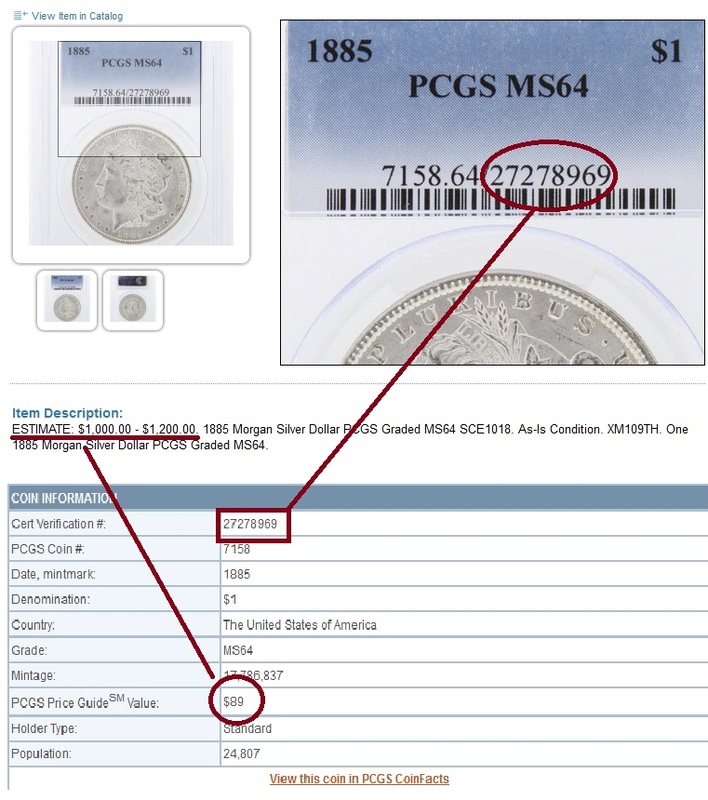 Even for PCGS, NGC, ANACS and ICG, before you bid, always check the latest auction values with a subscription to PCGS CoinFacts. 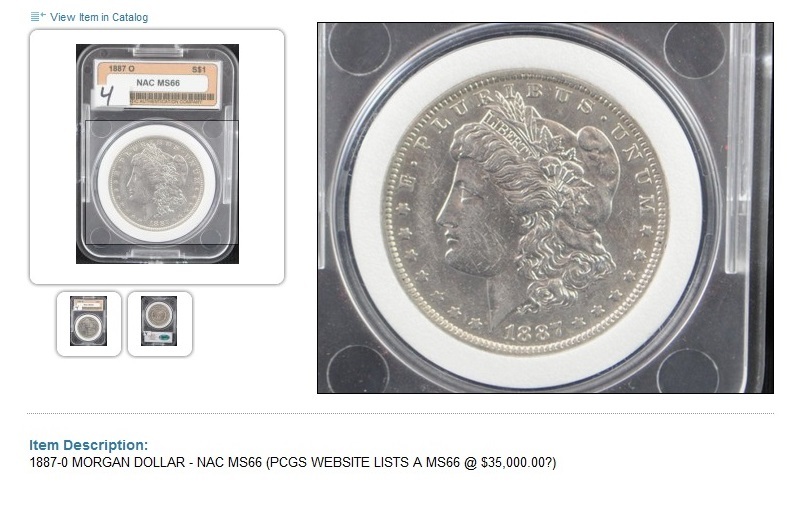 The coin above not only looks cleaned and damaged, ungradeworthy by PCGS or NGC; it certainly isn’t worth $35,000! When will Proxibid change its Unified User Agreement to add this clause, preventing hype like this–our recommendation in all caps? 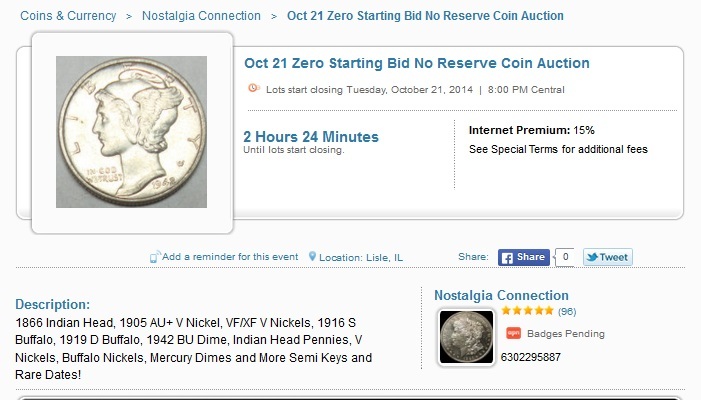 On Proxibid, they are “In the Know,” as evidenced by this shoutout! 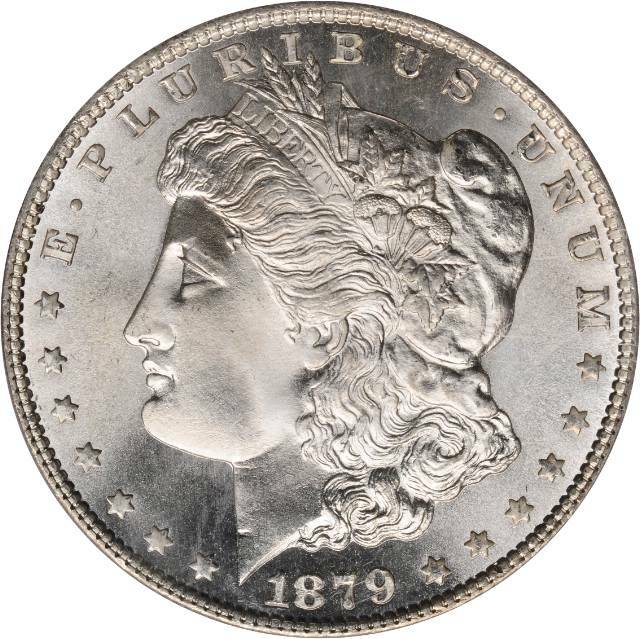 Value: 1885 MS64 Morgan worth thousands? Expand slab to view certification number. 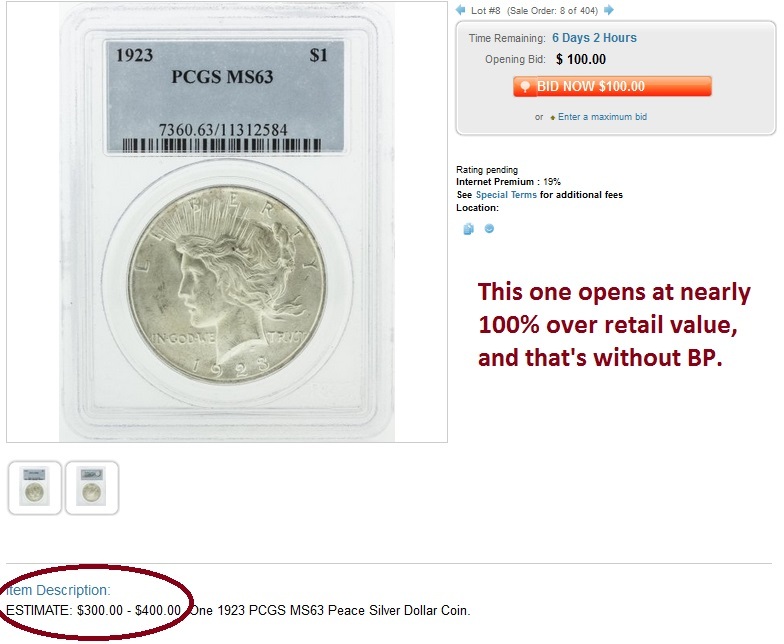 If PCGS, go here. 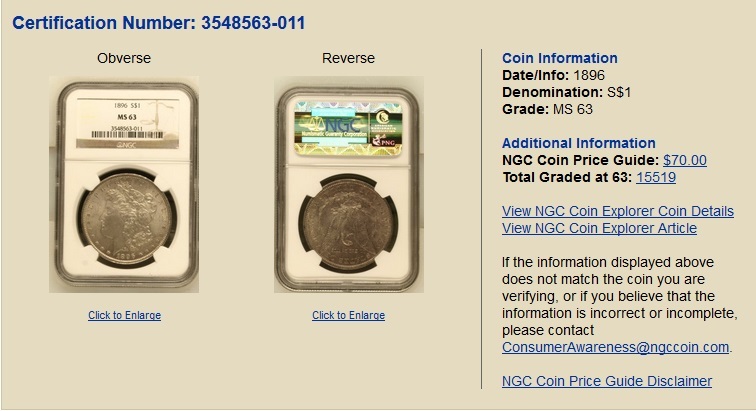 If NGC, go here. 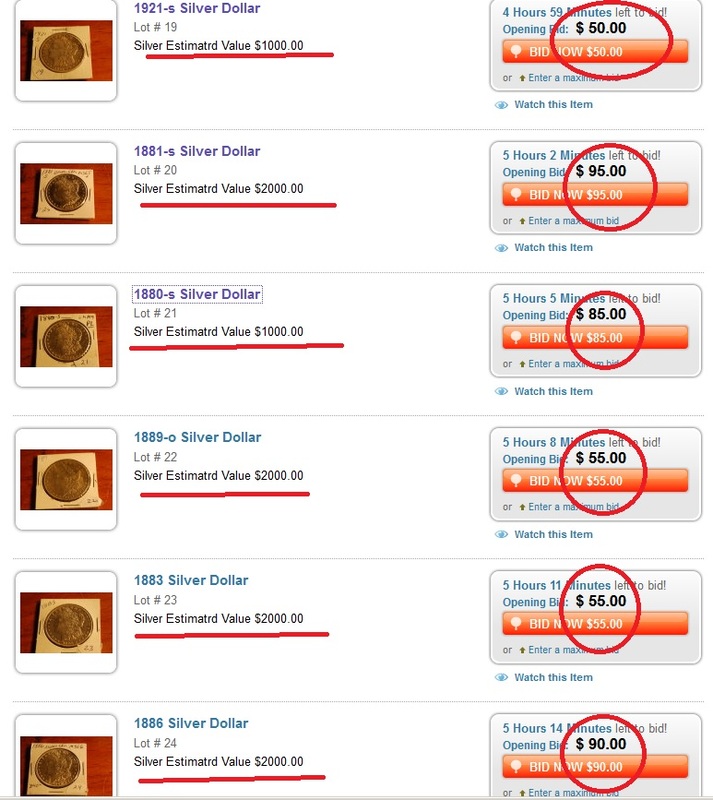 Compare the auctioneer’s value with the retail value of the coin. 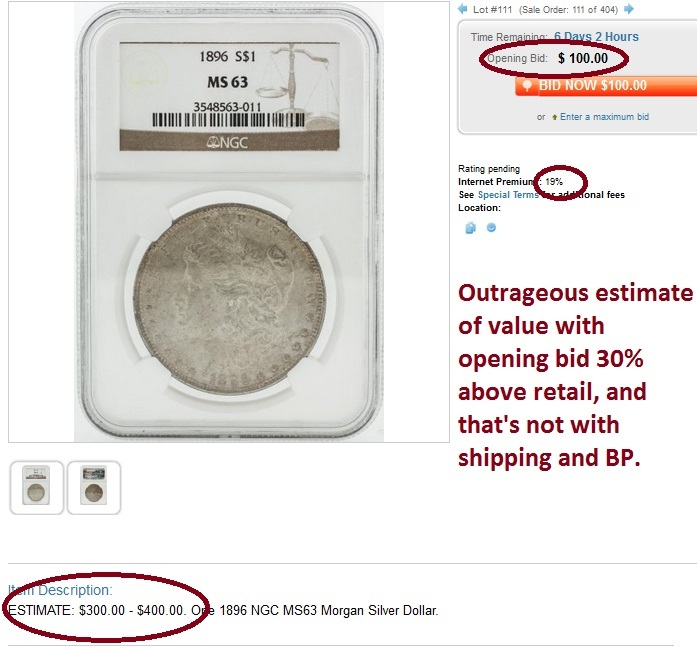 If grossly overstated, use the “report this item” link on Proxibid to let the company know what you found.